HomeRecipeAppetizerHow to Make an “Epic” Cheese Tray! This week’s episode was about dice games and I decided that it would be fun to do more of a “how to” instead of a recipe. I love cheese trays. They make great game night foods! An EPIC cheese tray has more than just cheese and crackers, It comes complete with a good variety of cheese, meat, a few different types of crackers and don’t forget a good fig jam. In the “recipe” below, I will include the meats and cheeses I used in the cheese try I made for this particular “epic cheese” try…but I never make it the the same twice. There’s no right or wrong way. Go with your favorite cheeses and meats. A basic rule of thumb is to always include some kind of soft spreadable cheese, at least one smoky cheese and at least one stronger flavored cheese. Always add complimentary meats (this is called your Charcuterie). I generally include prosciutto, some kind of salami, coppa and/or soppressata. But hey! I’m not the boss of you! 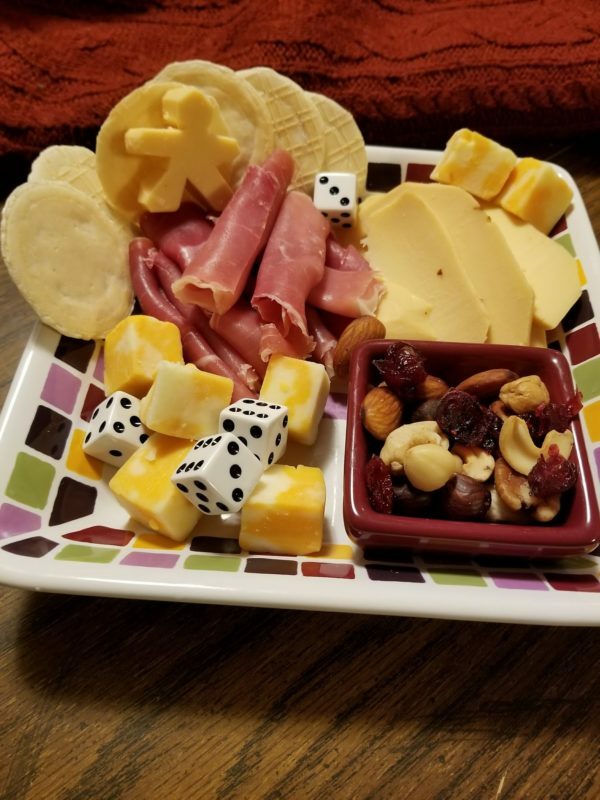 Make your cheese tray however you want! Put the meats and cheeses you want! Be sure to add a bit of color and some sweet too, like some yogurt covered pretzels and/or some dried fruit. As always, if you make your own Epic Cheese Try…take pictures! Show us how yours turned out! Tag us on social media! 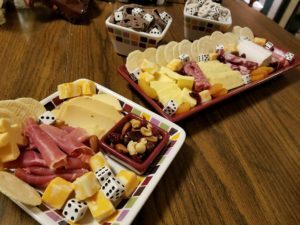 We love to know all about your game nights and your food experiences! How to Make an "Epic" Cheese Tray! Slice the cheese, roll up the meat, arrange it on the plate/board/tray with the crackers (don't forget the fig jam!) Serve and enjoy!